12" tall, brass with hardwood handle. 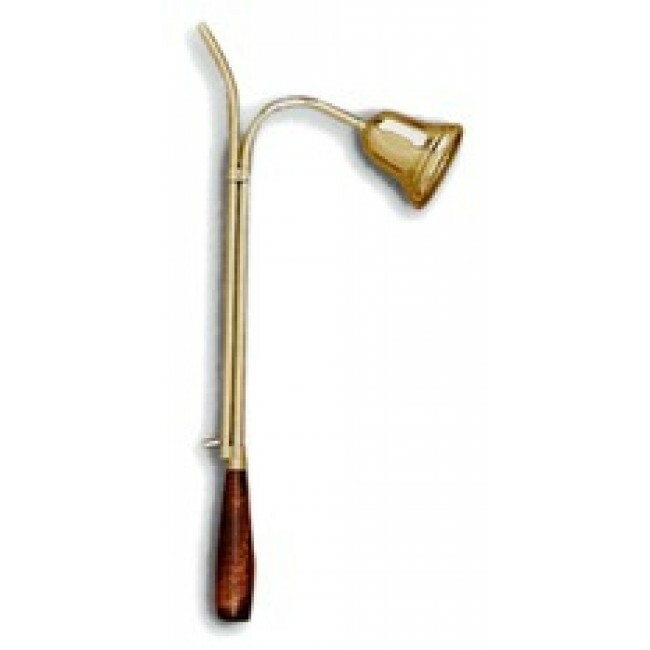 Candlelighter has solid dark hardwood handle and solid brass wick holder and bell. This snuffer and lighter is the smallest quality one made, measuring 12" in length. Replacement taper candles can be purchase. See below to add to your order.